Please join us on Tuesday, May 7, 2019, at Southern New Hampshire University for a two-hour VLACS & NH Business Leaders Collaborative Session. To identify the actions required to launch business collaborations on or before August 1, 2019. Our state’s career and technical centers and school ELO coordinators are doing important and powerful work in this area; we are partners in this effort, not competitors. What we bring to the table is the ability to integrate career and work-based learning with traditional academic offerings along with the capacity to scale to all corners of the state. 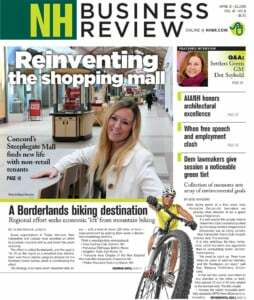 We all know that New Hampshire’s businesses are struggling to find qualified applicants for jobs. Together, we face looming baby boomer retirements, declining school enrollments, and a large percentage of NH students who leave our state to earn degrees, never to return. We want to do our part to mitigate the problem by keeping our workforce strong. How? By engaging our students in real-world work-based learning that also builds connections between students and businesses. Over the last two years, we’ve built a learning ecosystem where students have the opportunity to customize their learning experiences to maximize their post-high school opportunities. We’re ready to roll-out career pathways and badging opportunities in which students will have the chance to combine traditional academic study with real-world work-based learning leading to industry-recognized certifications, post-secondary training, or degrees. New to VLACS? Learn a little more about us. The Virtual Learning Academy Charter School (VLACS) was established in 2008 and currently serves over 13,000 (and growing) New Hampshire resident students, free of charge. Every high school, most middle schools, and a growing number of elementary schools allow their students to take one or more courses at VLACS. Over 70 percent of our students attend traditional public schools on a full-time basis. Each year, VLACS also supports approximately 400 of its own full-time students in grades 6-12. We are also expanding our services to include adult education. VLACS is approved by the New Hampshire State Board of Education to grant diplomas and course credit and has won numerous awards over the last eleven years. In addition to being approved as a charter school and public school, VLACS is also registered as a 501(c)(3) charitable organization. For more information about VLACS, please visit our website at vlacs.org. You may also be interested in reading a Wired.com article about us that was published two years ago. If you have any questions, please call (603-778-2500) or email (info@vlacs.org) our office in Exeter anytime.